There’s growing consensus: This will be the busiest Thanksgiving ever for air travel. The latest comes from airline trade group Airlines for America (A4A), which will issue its annual Thanksgiving travel forecast Wednesday. A4A is projecting a record holiday in terms of passenger traffic, matching similar expectations from the Transportation Security Administration (TSA). A4A projects a record 30.6 million passengers will travel on U.S. airlines during a 12-day window around Thanksgiving. That’s up from an estimated 29 million passengers that flew during the comparable period in 2017. For 2018, A4A defines the Thanksgiving travel period as beginning on Friday, Nov. 16, and ending on the Tuesday after Thanksgiving (Nov. 27). 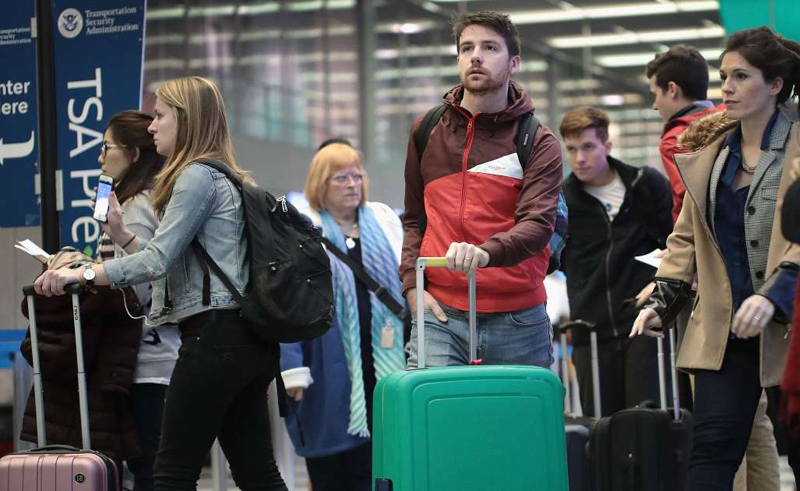 This year, A4A expects the busiest day during that period to be Sunday, Nov. 25, when the group estimates 3.06 million passengers will travel on U.S. carriers. The trade group, which represents most big U.S. airlines except for Delta, says daily passenger volumes will range from a low of 1.73 million on Thanksgiving Day to the more than 3 million projected for the Sunday after. A4A says the next busiest days will be the Wednesday before Thanksgiving (Nov. 21) and this coming Friday (Nov. 16), which is a full week ahead of the typical holiday rush. The TSA also has singled out those three days as the ones on which it expects to screen the most flyers at its checkpoints. “We have started to see a trend in which the Thanksgiving holiday period actually begins the Friday before Thanksgiving,” says TSA spokeswoman Lisa Farbstein. A4A Vice President and Chief Economist John Heimlich credited “accessible and affordable flight options” for laying the groundwork for this year’s expected Thanksgiving record. A4A says Department of Transportation data shows airfares, when adjusted for inflation, remain near “historic lows.” When factoring in inflation, average fares (including fees) for the first half of 2018 are down 5 percent year-over-year and 7 percent since 2010, according to A4A.